Darkmoor is a game set in a self-deprecating fantasy universe, full of action and magic, where anything is possible! Giant apes and huge, colourful pandas train in the art of kung fu in remote monasteries in preparation for the Steel Fists Tournament. Huge robot toys chase one another through different parallel dimensions waging an automated miniatures war. Coins, jewelry and all kind of possible treasures pop out of the monsters you just killed in dungeons created by crazy robot butlers! This is your starting area. You will discover great places like "Beach Please", "Twin Beaks", "Mountway to Hell" and many more. While you're busy traveling this land of wonders and puns, you'll also get to create what you'll find once you cross those borders! Want to be born in a land where candies are the only currency available? In a quest to turn your parents human again after an evil Guild of Werehorses turned them into wild horses? Once you tell such things to your Guide those become truths about the world you're playing in. It's up to the Guide how to use those truth you build speaking about the world you want Darkmoor to be, but the more you're creative the more you'll have fun during your game sessions. Darkmoor has been inspired by Moof Games products such as Blackmoor and Maximus. They both play like great old-style Arcade Games with exciting gameplay and colorful graphics. Beat'em-up games lovers will instantly fall in love with Blackmoor and Maximus too for sure. In Darkmoor combat is pure hyper-cinematic action! You will unleash your “epic-named” special moves while the whole universe stops to watch! 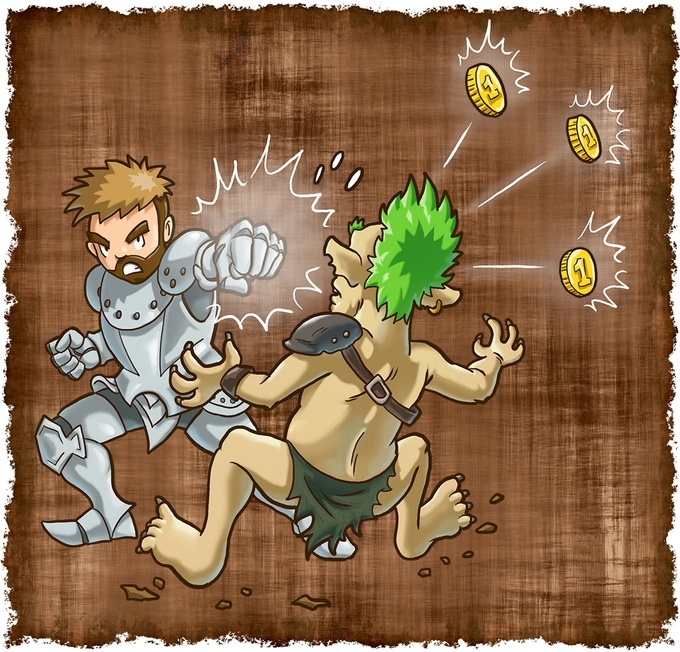 Fighting is based on a variety of factors: your character’s stats, the Attack and Defence Dice, customized Special Moves created by each Player, the Symbols that make each Move unique and the various effects they trigger, and Special Weapons and the bonuses they provide. You will even upgrade your moves by describing your cinematic actions— the cooler the better!! In this fantastic world where the incredible becomes possible and anything can be a source of inspiration or comedy, the important thing is always and only FUN. 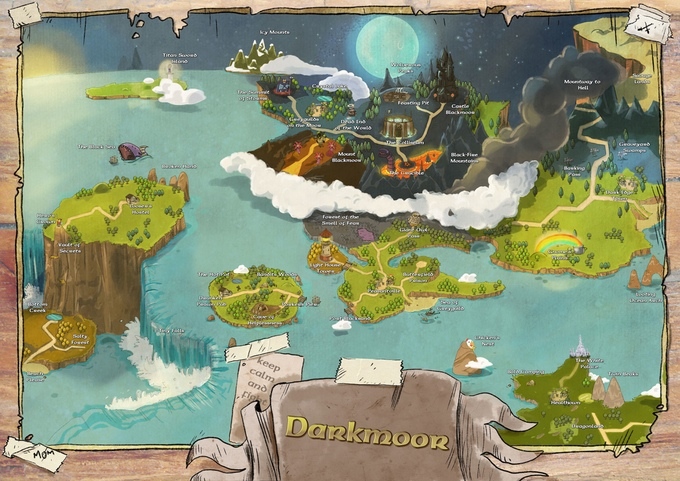 The game design of Darkmoor maximizes the fun and streamlines every other aspect of the game, generating adventures, enemies and rewards... all in addition to the thousands of ideas offered by the absurd world of Darkmoor itself! In Darkmoor, players are NOT puppets in the hands of the Guide. The Guide trusts them and enjoys the game, telling the story and describing the NPCs’ actions. Darkmoor is a VERY tongue-in-cheek, humorous game. Anything is possible: PCs literally shine brightly when they level up, they can choose to fail a task on purpose in order to earn more Experience, and they may belong to any race, ethnicity, profession, class and background you can imagine. Best of all, you can combine all of this (and more!) to create absurd and bizarre results! Plus, when you finally kill the Boss, you will be showered with coins and treasure! Seeing is believing! Darkmoor is TOTALLY customizable. 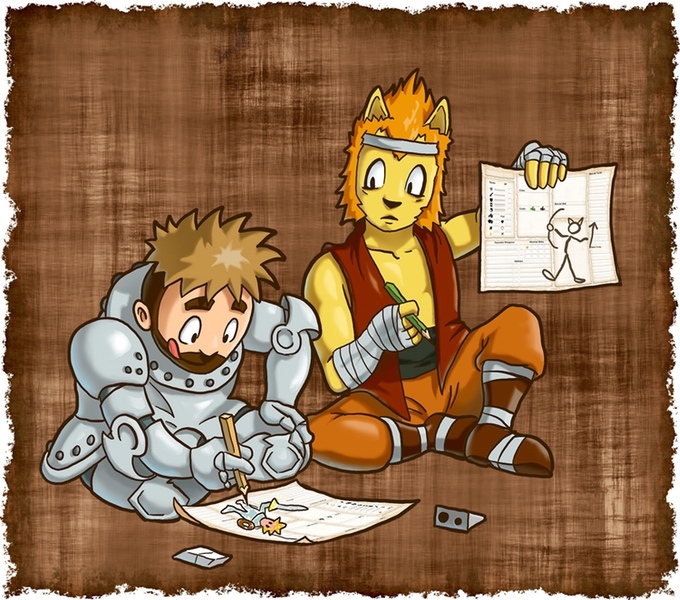 In the 200+ pages, USA letter format book, you'll find just a couple of rules to follow, so the Player can shape his own Races, Classes, Skills, Techniques (Martial or Magic), and Equipment. There will be plenty of examples and suggestions, but they all explain how to create your own original stuff. Yeah, you read it right: punch them untill you have enough money! Just like traditional arcade games, hit a monster and he'll drop coins. Store them, find the next one, rinse and repeat! Draw your weapon! And armor. And character. Everyone loves good artworks and the book we'll be packed with those. But you know what's even better? Funny ones! Your character and equip will look like you draw them yourself: you don't need to be good at it, you just need to have fun with it! Everytime you mention one of the elements in the sketches you drew to describe an action you gain an extra die. 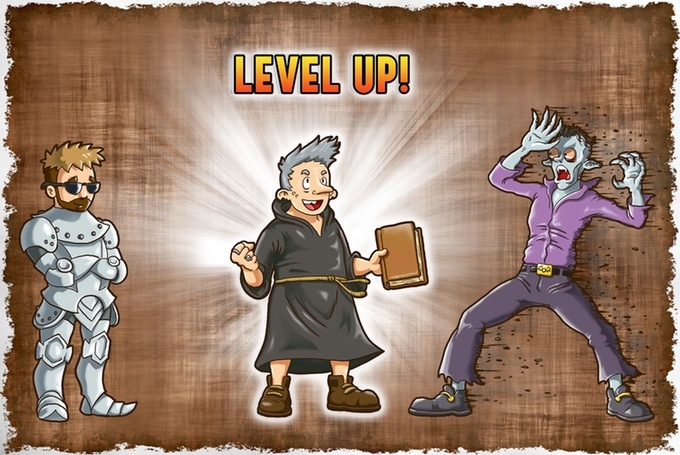 Darkmoor is great for one-shots, sure, but when you'll see how easy levelling up is, you’ll never want to stop... And we mean it! Here you won't stop at 10th, 20th or 250th Level! Oh and remember: you'll be all shiny when you reach a new level, just like good old arcade games. What is the conflict resolution system like? Classic, skill based, PbtA, dice pool, card based, ...? Is this game in English? As the full size preview seems not to be. Thank you for your feedback! Sure, the game is in English and Italian. Once you buy the game, you get both digital versions, plus character sheets files in English and Italian. 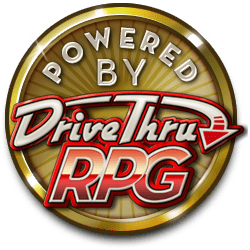 I changed the preview to show the English version, since it's the main choice on Drivethru. Also, print options are available! Thanks so much, both of you, for your replies! This title was added to our catalog on July 13, 2016.